Although the original recipe says it will make 6 muffins, reading all the comments on the Good Food website it will make far more than that. I have a smaller tin and I filled all 12 muffins holes. A few sliced almonds to sprinkle on top of each muffin. Heat the oven to 180C. Mix the flour, baking powder, sugar and chocolate chips in a bowl. Add the oil, banana, eggs and milk. Fold quickly with a large metal spoon. 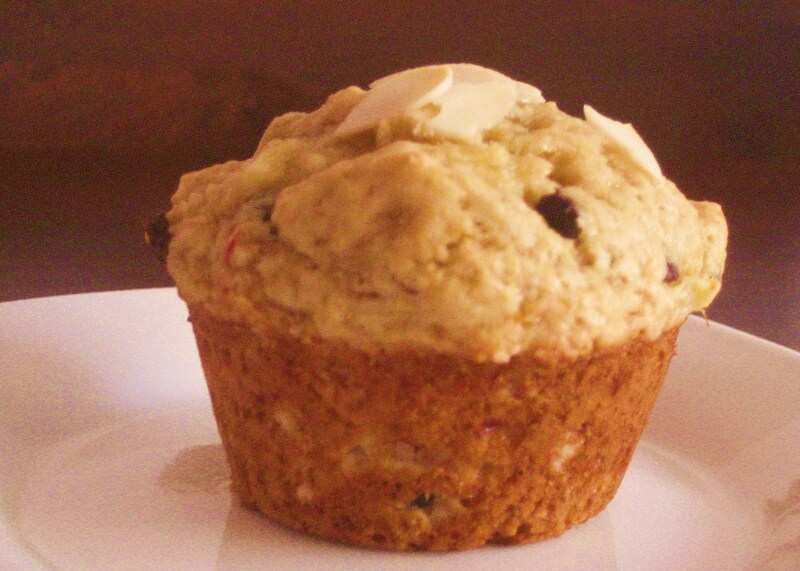 Don’t worry if the mix is still lumpy, because mixing too long makes the muffins tough. Divide the mixture between the muffin tins. Fill them to the top and sprinkle on a few sliced almonds. Cool briefly and then put on a wire rack. 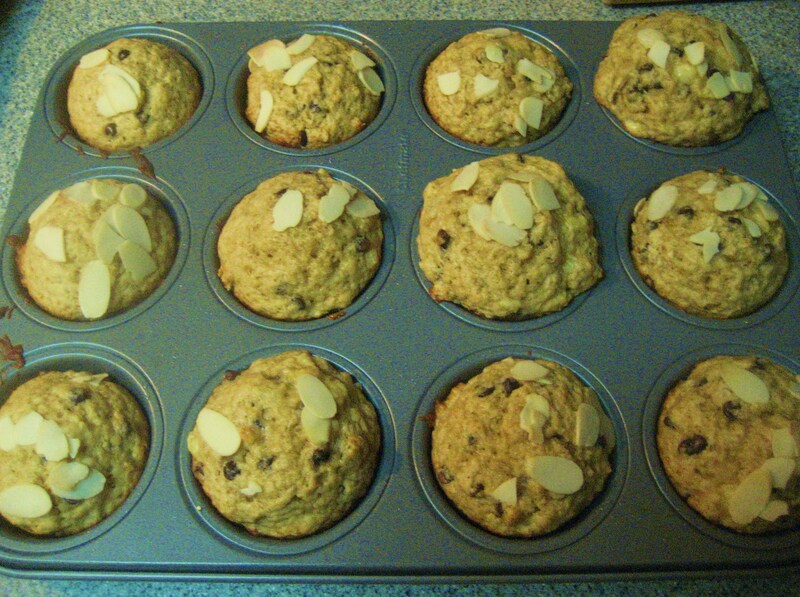 Well, I’m not a baker as well but your muffins look absolutely ravishing! Great job!